There was a time, and not so long ago, when indulging in a spot of skiing meant you had to be pretty well-heeled and able to jet off to the likes of the French Alps for a week or so and pay through the nose for everything. Things have moved on thanks to budget airlines, the rise of the internet and the recovery of many European countries from the long dark night of Communism. With cheap car rentals, Italy, Estonia, the USA and elsewhere now also easily affordable and readily available, this is a great time to head off to the great pistes of the world. Although the top slopes of Europe such as Chamonix, Zermatt and Verbier are no longer the only ones available, they’re still amongst the best and attract top skiers from around the globe. But countries like New Zealand and Australia also have great skiing opportunities, and as these and others in the Andes of South America are in the Southern Hemisphere this means that you have great skiing on offer all year round nowadays. Also, just a few miles distant from Italy and Austria you can now get some excellent skiing at great rates in Slovenia at Kranjska Gora and other nearby resorts. In North America, the Appalachians and Rockies have ski resorts that are amongst the best in the world, and even in China and Japan there are some great slopes for all ability levels. Thanks to improvements in material science and the creation of substances like Dendex and Snowflex, indoor skiing is now a brilliant way to hone up on your skills when it’s not convenient to head off for Europe or South America. In fact, these slopes are frequently more difficult to negotiate than their real counterparts, so learning or practicing on these will make the job that much easier when you finally get to the real snow. Dry slopes like the one at Milton Keynes just outside London are cheap and convenient to practice on, and you can hire all the gear when you get there. 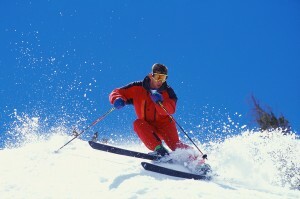 Practice snowboarding as well as skiing techniques on them, and take advantage of the regular freestyle evenings for letting yourself go and testing your limits in safe surroundings. Off-season skiing at the big European resorts also now makes excellent sense, as the reliable snow tends to lie for longer than you’d often expect and you can take advantage of great price reductions if you go to places like Chamonix for example just before the main season starts or just after it ends. Another good reason for doing this, if you can juggle your time, is that you’ll often have the slopes practically to yourself. This is great for trying a more personalised tuition experience if you’re a learner, and for practising your freestyle if you’re a veteran. There’s also be little or no queuing, and in fact more skiers when they can manage it are avoiding the peak ski season in Europe altogether for just those reasons.